Civil War enthusiasts and historians will find plenty of fascinating sites and interpretative centers located in and nearby the Land Between the Lakes National Recreation Area. Kentucky and Tennessee played significant roles for both Federal and Confederate troops, each seeking to fortify the region for their own strategic goals. While this list may not be exhaustive, it will point you to the various Civil War battlefields and fortifications located near Land Between the Lakes. These are the battle sites that ultimately served to unify the nation. The battle that took place between Confederate and Union forces at Fort Donelson on February 14, 1862, at first seemed a victory for the South. However, sober reflection brought the Confederate generals down to earth. Union reinforcements were joining General Ulysses S. Grant’s armies daily and the Union troops were beginning to encircle the Southern forces on all sides. Battles raged the next day on February 15, with Southern troops successfully pushing Union armies back. However, confusion ensued and the Confederate armies soon lost their advantage. General Grant’s armies fought hard and furiously, pounding the Confederates until their generals succumbed to defeat. Brigadier General Simon B. Buckner called for terms. He was met by Grant’s famous words, “No terms except an unconditional and immediate surrender can be accepted." The battle was a strategic victory for the Union Army, opening the path to Grant’s armies taking control of Nashville and Clarksville, Tennessee, in the days that followed. 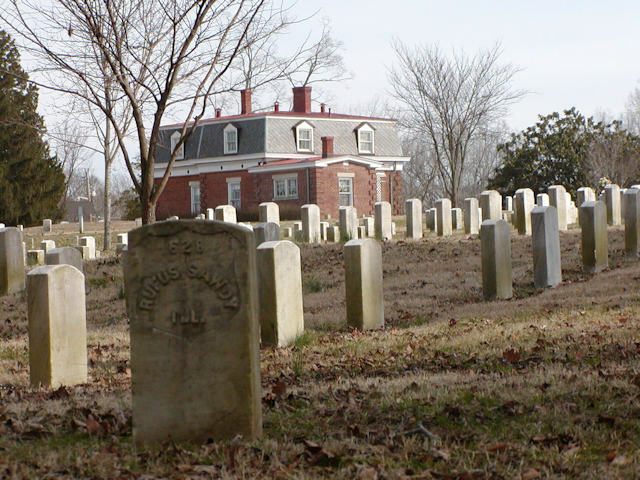 Visitors to Fort Donelson, which is located in Dover, Tennessee, can walk the grounds where these soldiers fought. The 11-stop tour invites you to visit a replica of the log huts where Southern troops would have slept, and the Dover Hotel, the site of the famous Southern surrender. In addition to learning more about our nation’s heritage, Fort Donelson is also home to a number of trails and picnic areas for families to explore during their visit. Perhaps one of the least well-known of the Confederate forts during the Civil War, Fort Heiman played a crucial role for southerners during the War. It was built around 1861-62 as one of three forts created to guard the Tennessee and Cumberland Rivers. (The other two protective forts being Fort Donelson and Fort Henry). While the Confederates were the first occupiers of Fort Heiman, their occupancy was short lived. Early in February 1862, General Grant’s Union troops moved south along the Tennessee River, with the aim of capturing Fort Henry. While occupied by the Union forces, Fort Heiman attracted slaves who sought freedom within the Union lines. In fact, this was the nature of many of the Union-occupied forts. The fort was later occupied in 1864 by Confederates led by General Nathan Bedford Forrest. The mission of this occupation was to sink Union gunboats and supply ships coming down the Tennessee River. Forrest eventually abandoned the fort and moved further south into Johnsonville, Tennessee. The 160 acres that surround Fort Heiman became part of the National Park Service’s Fort Donelson Unit, which helped to preserve the earthen fort and to protect it from commercial development. Interpretive signs and wayside exhibits tell the history of the fort and offer visitors a closer look at our nation’s tragic history. Fort Henry was one of three key forts established in the early days of the Civil War to guard the Tennessee and Cumberland River waterways from Union gunboats and supply ships. Very little of the site is visible to tourists today, as much of the original site is under Kentucky Lake. There are still earthworks that can be viewed and a few interpretive signs to give visitors a bit of the history of the fort. While the site includes minimal attractions, one thing visitors do enjoy is walking and biking the Fort Henry Trail System. These trails follow General Grant’s route from Fort Henry to Fort Donelson during the War. The trail system is comprised of a series of 10 connecting trails which encompass 30 miles of terrain, that ranging from river bottomlands to forest uplands. Located south of Clarksville, Tennessee, is Historic Collinsville. This living history museum features restored log cabins and outbuildings dating from 1830 to 1870. This site is located 45 miles east of the Fort Donelson National Battlefield and is the location of a notable Civil War battle. Visitors to Historic Collinsville will get a realistic perspective on what it was like to live in Middle Tennessee in the 1800s. Fort Defiance was occupied by Confederate troops during the Civil War. This historic fort, situated on a bluff 200 feet above the confluence of the Red and Cumberland Rivers in Clarksville, Tennessee, was used as a defense against Union troops approaching Clarksville. The fort was captured in February 1862 by Union forces. Visitors will find the current site in remarkable condition. The outer earthworks, powder magazines and gun platforms have been well-preserved. The interpretive center features exhibits that explain the 200-year history of the lands where Fort Defiance was situated. Nearly a mile of walking trails weave through the grounds, providing visitors a scenic view of the fort as it must have appeared during the Civil War. General Nathan Bedford Forrest and his Confederate armies destroyed the Union’s federal supply and munitions depot at Johnsonville. This proved to be a significant defeat against General Grant’s armies. Today, visitors to the park can view two large Civil War field fortifications. It is located in New Johnsonville, Tennessee. Though a controversial figure during the Civil War, Confederate General Nathan Bedford Forrest and his cavalry proved a fierce opponent to the Union troops. The state park features a monument memorializing Forrest and the cavalry who fought alongside him. There is also a map on site, which provides a more in-depth history of Forrest’s movements, as well as the destruction he leveraged at Johnsonville, where federal supply lines were destroyed and many Union assets were lost. In addition to digging into the region’s rich Civil War history, visitors to Nathan Bedford Forrest State Park can also find accommodations, campsites, walking trails, boating and fishing opportunities here. The park is located near Camden, Tennessee. Columbus-Belmont State Park is located in Hickman County, Kentucky. Columbus played a key role during the Civil War. Taken in 1861 by Confederate General Leonidas Polk, it proved a strategic and enviable location for both sides of the War, due to its location along the Mississippi River, complemented by the presence of the Mobile & Ohio Railroad. Under the direction of General Polk, a fort was established, complete with a 32-pound Sea Coast cannon, the largest Civil War cannon in Kentucky. Still viewable at the site today is a portion of the giant chain that was floated across the river to block the passage of Union gunboats. The chain was composed of 20-pound links and a giant anchor that made it a formidable obstacle to Union troops who served under the leadership of General Grant. The Battle of Belmont happened on November 7, 1861 and led to 1,000 casualties. The battle resulted in no clear win for either side. However, the battle marked the opening of the campaign in the West and proved useful to General Grant’s rise to power. The site was added to the state park system in 1934 and today provides Civil War enthusiasts with an impressive first-hand look at how significant this land was to both sides during the War. The Jefferson Davis State Historic Site pays homage to the Kentucky native who was born on this site in Fairview, Kentucky, on June 3, 1808. Jefferson Davis is most famously known for his service as President of the Confederacy during the Civil War, however, he also served as a United States Congressman and Senator. The 351-foot obelisk sits on a foundation of Kentucky limestone. Visitors can take an elevator to the top of the monument for a bird’s-eye view of the surrounding grounds. The museum housed in the ground floor of the monument provides history and insight into the life of this historic Southern figurehead. The monument is located in Fairview, Kentucky, about 45 miles east of Land Between The Lakes. As you travel to the Land Between the Lakes National Recreation Area you are bound to stumble upon other historic Civil War sites located throughout Western Kentucky and Western and Middle Tennessee. Take some time to stop and explore all that the region has to offer Civil War enthusiasts and historians who seek to walk the trails where many of our nation’s most notable and notorious leaders walked over 150 years ago. You can spend several days in Land Between The Lakes with all the activities and attractions that need experiencing. Use these links below to help you find that perfect place to stay as you plan your vacation to LBL. Note: ExploreKentuckyLake.com is not the official site of the Land Between The Lakes. You can access their official site here. The Single Pen Cabin is one of many historic buildings at the Homeplace 1850's working farm in Land Between The Lakes.